The tragedy of the garbage collapse in Meethotamulla has unraveled several protests around the country which undoubtedly pinpoints the seriousness of the garbage management problem at hand. The Kotikawatta protest which took place last Tuesday was mediated with a set of ambiguous promises and unanswered questions lingering at dusk, yet to be put into action or clearly interpreted. Kotikawatta, situated roughly 3.2 km away from Meethotamulla, is also home to a landfill, in which the piles of solid waste is accelerating. Adding to this is the threat of more garbage being dumped into the site that is being collected regularly from Colombo. At the outset, the inability of the authorities to take efficient measures in addressing the issue of Solid Waste Management (SWM) at hand with a more sustainable solution is largely a result of the frictions in the political culture of Sri Lanka which is allegedly the dragging force of the majority of local problems. 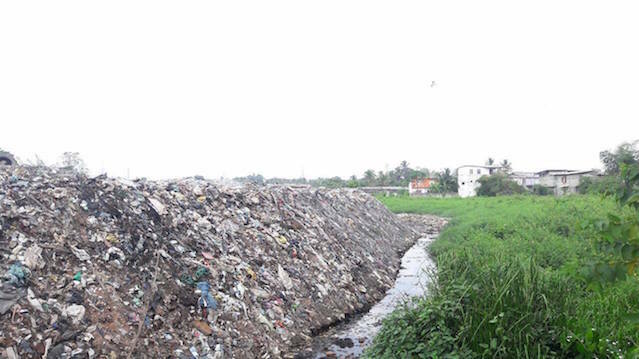 The solution that has been expressed by the authorities, in its ambiguity, is dumping garbage in other sites, which is none other than a path forward to another Meethotamulla scenario, possibly lying at dawn. Although, the government recently announced a new project with more sustainable SWM solutions in place, it is yet to be implemented in Muthurajawela. The underlying cause of the unmanaged garbage problem in Sri Lanka can be viewed in the eyes of Garret Hardin’s theorization of the “The Tradgedy of Commons”. According to Hardin (1968), “Commons” refer to any shared and unregulated resource such as atmosphere, oceans, rivers, fish stocks, or even a Sri Lankan garbage dumping site. “The Tragedy of the Commons” is a situation where players have to cooperate to avoid everyone from suffering loses, yet each individual has the incentive to not cooperate. Also termed as the “Prisoner’s Dilemma,” the classic sample of the Tragedy of the Commons is as follows: Take a situation where, farmers graze their cattle on a shared grass land called the Commons. The Commons can support a totality of 100 cows and 100 farmers should bring a cow each. But each farmer thinks, “If I bring one extra cow, it doubles my entire income and only puts a 1% drain on the Commons.” All farmers think the same, and all bring one extra cow, and soon 200 cows quickly overgraze the Commons. It dies completely, and then, so do the cows, followed by the farmers. The problem of Solid Waste Mismanagement in Sri Lanka fits this example quite well at both a macro and a micro level. At a macro level, when the government’s solution to wastage management is conveniently dumping garbage in landfills, the moment it cannot be continued anymore, it turns to another site. This soon leads to the entire community living in a garbage heap, especially as in the case of the neighboring lands of Meethotamulla and Kotikawatta, which is notably about 3.2 km apart. It should be borne in mind that, what we discard as waste unfortunately does not go away or go somewhere else. The problem with landfills is that, waste gets accumulated resulting in many environmental consequences; and as experienced in Sri Lanka, disasters that take many lives away, endangering the survival of the others. The waste, that piles up pollutes the environment completely and, importantly, landfills are a source of methane emissions. Even if the Meethotamulla Dump did not collapse, the pollution it causes everyday damages natural water supplies, leads to contamination of underground water, and even gets into the food chain of both animals and humans living in the community. In the micro level, we all a part of the Meethotamulla tragedy. Why? If not Meethotamulla, our material waste is also being accumulated in a landfill, somewhere in the country. Thus, undoubtedly the relatively cheaper way of managing waste has surely taught a lesson to our island nation. The problem is whether the lesson has been learnt? As Hardin outlined, “The rational man finds that his share of the cost of the wastes he discharges into the commons is less than the cost of purifying his wastes before releasing them. Since this is true for everyone, we are locked into a system of “fouling our own nest…” In this light, even if the Sri Lankan government led by HE President Sirisena, declared the “Era of Sustainability” at the beginning of this year, noting the country’s commitment to achieve the United Nations Sustainable Development Goals (SDGs) by 2030, the “Commons” problem stands as an example for the problems in achieving such sustainability. In economics, a negative externality is a cost that a player does not intend to incur. Negative externalities are fundamental to the Tragedy of Commons and as in the garbage problem experienced in Sri Lanka for example, every time the government piles up material waste in an area, it becomes more likely that entire community will suffer in each of those areas. Alas, the recommendations and solutions to the issue of SWM are quite a challenge and require a separate, methodical study. Hence, understandably the dilemma faced by the authorities in addressing the issue lies in this case of balancing competing interests of all players involved in the problem: the government and the community. Economists encourage governments to adopt policies that “internalize” an externality so that some action is taken to correct the market failure. The issue is whether such policies are adopted and duly implemented. The Meethotamulla Facility served only as a dumping facility in the heart of Colombo, where there was no SWM process conducted. According to the Colombo Municipal Council in 2012, the Western province is responsible for more than one and half of waste production in the entire country with Colombo being the largest waste generating district in Sri Lanka. The question is whether Kotikawatta is the next in line to succeed a similar predicament to that of Meethotamulla. Although, there is a chunk of literature on SWM projects practicable to Sri Lanka and policy recommendations generated by academics and professionals, it has not been incorporated in the policy cycle effectively. Thus, the destiny of the garbage quandary and its consequences, remain unresolved and tangled in the web of the Sri Lankan political game to date. 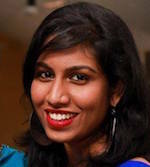 *Piyumani Ranasinghe is an Associate Research Fellow at the Institute of National Security Studies Sri Lanka (INSSSL) and is a graduate of International Relations from the University of London. She is currently reading for her LL.B. degree at the University of Peradeniya. Her views do not reflect the stance of the INSSSL or the Government of Sri Lanka. A recycling plant which recycles cardborad, glass and plastic as well as making compost out of the rest is not a big investment does not need foreign know how. Because, these we were doing when we were far poorer than now. It looks now politicians are addicted to getting foreign help because of money involved it. Besides, govt should ask people to use recyclable bags or packaging as much as possible and manufacturers to reduce packaging. govt also should charge a recycling Tax from both the manufacturer depending on the packaging they produce and from the consumers who use highly packaged products. Govt should make gunny bags like things a fashion with appropriate advertising. On top of that so many politicians, so many agencies involved, because of that nothing can be done. 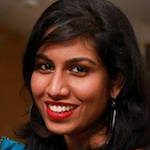 MY god I did not know Sri Lanka had so many Garbage Experts, if only someone informed the Government that they only had to browse CMB telegraph to find the Sudden pundits of Garbage management who were a short while ago human rights so called experts, then we would not have had this tragedy. Still as the saying goes jump on any band wagon. Charging from the consumers is not a practical thing. But charging from the manufacturers only is the right move as manufacturers anyway charge the consumers for the packaging. Did you know that a certain brand of soda in a (still available ) glass bottle is about Rs 20 cheaper than the non-returnable PET bottle? So consumers are paying for what they throw away. I didn’t know that, old codger. Thanks for informing “Sri Lanka”! This is the sort of information that ought to get passed round. I avoid plastics wherever possible, but still have quite a stack that the guys collecting for recycling don’t want. I understand that burning the stuff also damages the atmosphere, although even if I did so, the damage would be negligible. Yes, a few outlets still supply 1-litre glass bottles, but they are getting fewer. “Solid waste management theory”. Surely none in CMC. The accepted norm is “Collect the waste from the upper class and dump it near where the ‘others’ live”.